When you decide to start a new business the only way forward might be to buy land and build your business from scratch. When buying a plot of land with a cattery business in mind there are a number of things that you will need to be aware of. Does the plot have planning permission? If there is already outline planning permission in place you need to find out if it is still valid. After five years planning permission expires and new plans would have to be submitted. If planning permission is in place (check with the Local Council planning officer) you should ascertain whether you will be able to build a cattery. Some plots of land have covenants that prohibit certain types of buildings. The deeds of the land would tell you if any such covenants apply. Does the plot of land have main services in place? You would need electricity and water connections before any building work could start and these essentials can make a great difference to the price of the land. How long has the plot of land been on the market? If the land has been on the market for a long time you need to ask why. There are a few avenues you can explore in your search to find land to build a business. The local news papers often have a section where land for sale is advertised. Some will be advertised as already having planning permission. Local land agents will also have a list of land for sale and they should be able to advise you on the probability of getting planning permission for a business site. You should have patience and be prepared to view many sites before making any financial commitment. Remember the agent is working for the seller, so do all your own searches. The regulations for any boarding establishment for animals state that, a responsible person is on site twenty four hours a day. You cannot leave animals unattended. This does not mean you have to have someone actually in the building, but there has to be living accommodation either on the same site or very close by. That is why when buying land to build a cattery you will also need to build a dwelling on the same site or purchase a property that conforms to the regulations. Ask questions. 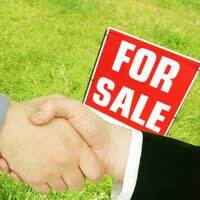 If a plot of land has been on the market for a long time there is usually a good reason. The land itself could be contaminated. There might be covenants and restrictions in place that would seriously influence your ability to build a cattery on the land. Possibly the nearest neighbours would lodge objections to a cattery. It is essential that you ask questions of everyone involved and get all the relevant information before committing yourself. Buying land with the hope of building a business is a stressful, anxious time and you do not want to suffer financial loss and disappointment because you have not asked enough questions.